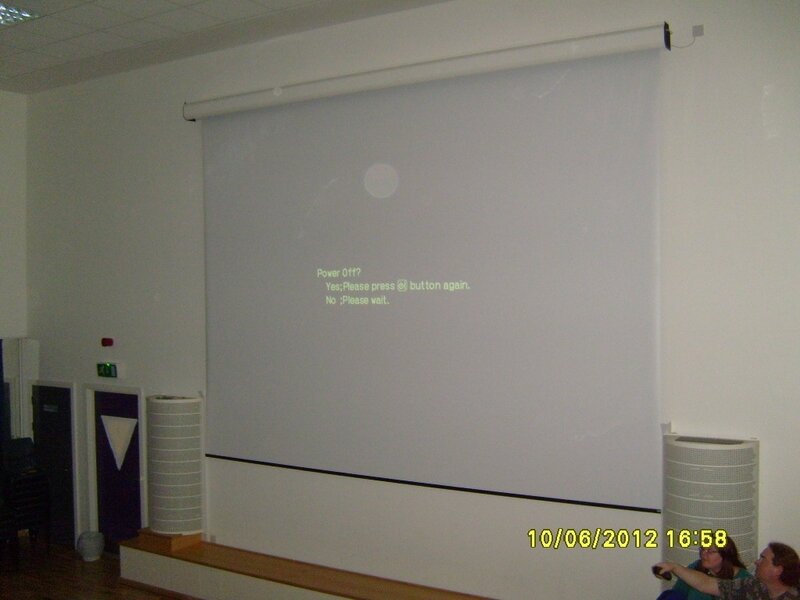 There will be no food in the College restaurant at lunch time. Just across from the college there is a McDonald's & Pizza Hut: There will be teas coffee's & cakes served in the afternoon break. 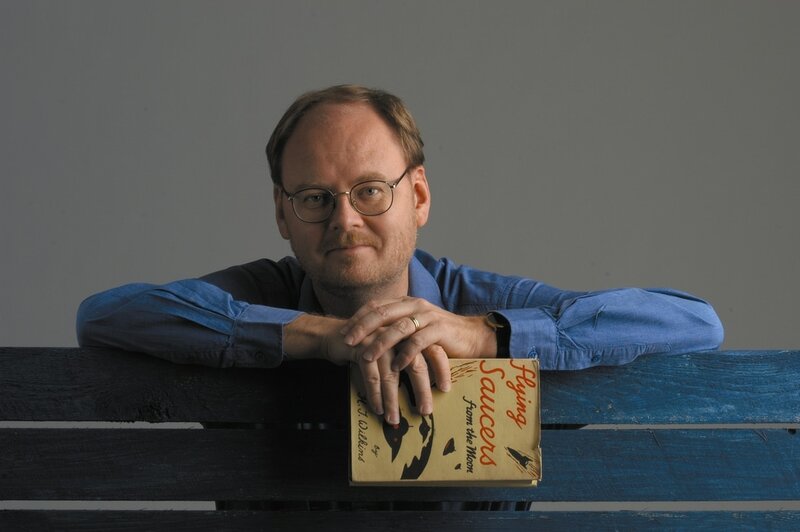 ​Clas Svahn (AFU Vice Chairman and Our Foremost Collector of Donations) was born in Mariestad, Sweden, 1958. Studied at the University of Journalism, Gothenburg. Since 1990 Clas works as a journalist with Dagens Nyheter (Stockholm), Sweden's largest morning newspaper. Also an expert reviewer for UFO, science fiction and other related books for the Swedish public libraries. Founded the local group UFO-Mariestad in 1974, member of UFO-Sweden's board since 1988 and chairman of that national group since 1991. Vice Chairman of Archives of UFO Research. Co-editor and driving force behind UFO-Sweden's magazine "UFO-Aktuellt". Clas has made regular visits to the UK to collect archives for ufologists and forteanists for preservation with AFU. ​The Ghost Rockets are one of the most strange UFO phenomena I have encountered during my 42 years of research. They peaked in 1946 with more than 1.000 reports but did continue afterwards in smaller, but spectacular, way. One of the reports I will tell you about is when the Swedish Supreme Commander witnessed a Ghost Rocket crash in front of him, the search for it and my work trying to find the documents about it. I will also tell about UFO-Sweden’s own search for a Ghost Rocket that landed and sank in a lake in 1980. Tim Walter worked as a freelance media production consultant in the corporate world for thirty years during which time he made videos for blue chip and multi-national companies, produced international conferences and wrote film treatments and short film scripts and developed series ideas for broadcasters…. and it all seemed terribly serious and important until his family and he moved house from Kent to Gloucestershire. That’s when life really started to become interesting and eventually led to adopt the label of geomancer and life coach. In this entertaining talk Tim will illustrate by highlighting what happened to him on his life path as to how the worlds we individually live are guided by other beings from the dimensions adjacent to ours…even when we don’t believe it! ​Today Tim uses focused power of intent to help people to wellness working with the energies of the places where they live and work to see how his clients lives are reflected symbolically in the earth energy which is as much a part of them as they are it of. Tim takes apart some of the labels used in Earth mysteries and psychism and finds links to science in many aspects of what we consider to be a spiritual existence. Title :-Are UFOs Extraterrestrial Craft? ​Nigel Watson has researched and investigated historical and contemporary reports of UFO sightings. In collaboration with Granville Oldroyd and David Clarke, he has written several articles about phantom airships seen over Britain in 1909 and 1913. Their comprehensive study of the 1913 airship scare was published by the Fund for UFO Research (FUFOR) in 1988. The Drake Equation and the recent discovery of extra-solar planets indicates that our galaxy should be teaming with intelligent life. Yet, as the Fermi Paradox notes there is a profound lack of evidence for their existence. Perhaps UFO research can answer this question? Evidence indicates that UFOs and E.T.s have abilities beyond our earthly laws of physics, and this can be part of the problem when discussing Ufology within mainstream society. When Disclosure of the ET reality happens, there will be many implications to consider. Debates will ensue trying to differentiate between ET interactions or more Divine, Holy or Angelic interactions, either currently or historically. 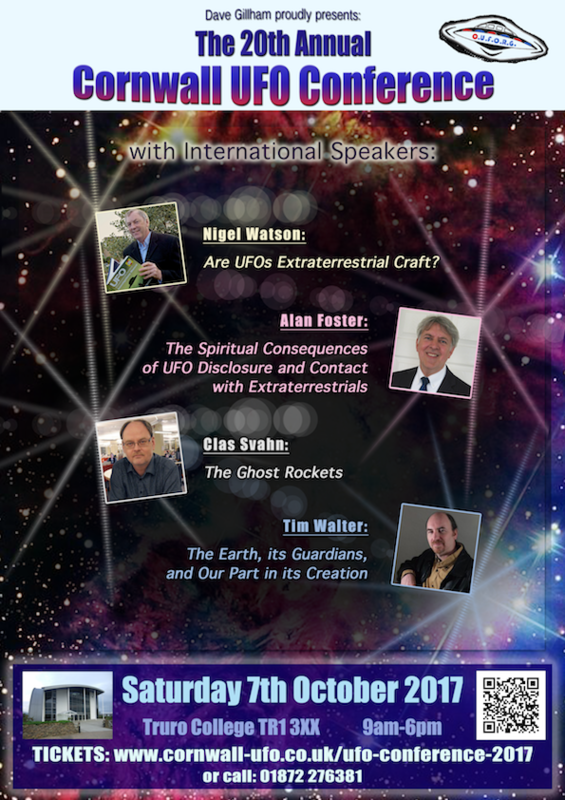 Alan will discuss these issues, and also put forward reasons why Angels, regarded as being of a Divine spiritual origin, should not be confused with the physical properties and motivations of Extraterrestrial beings.Alan is a writer, researcher and international lecturer on UFOs, Crop Formations, Angels and the Turin Shroud. He is on the Advisory Board of the Exopolitics Institute, and is a regular columnist for ‘UFO Truth Magazine’Alan Foster is a writer, researcher & international lecturer on UFOs, Crop Formations, Environmental & Spiritual Issues, including the Turin Shroud & Angels. His in-depth research has taken him to over eighty countries worldwide. ​The Drake Equation and the recent discovery of extra-solar planets indicates that our galaxy should be teaming with intelligent life. Yet, as the Fermi Paradox notes there is a profound lack of evidence for their existence. Perhaps UFO research can answer this question? Nigel Watson has researched and investigated historical and contemporary reports of UFO sightings. In collaboration with Granville Oldroyd and David Clarke, he has written several articles about phantom airships seen over Britain in 1909 and 1913. Their comprehensive study of the 1913 airship scare was published by the Fund for UFO Research (FUFOR) in 1988. 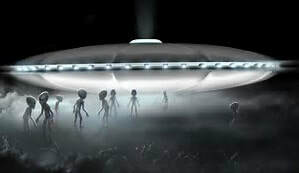 The evolution of theories and ideas surrounding the extraterrestrial origin of UFOs will be explored and put in the context of the current state and findings of the scientific Search for Extraterrestrial Intelligence (SETI). This will cover the concept of Ancient Aliens, UFOs throughout history, why they ‘returned’ in 1947 and the different types of ET theories. Truro & Penwith College Map.